Launched in December 2014, the long-only Global equity strategy aims to generate attractive absolute returns over the long term. The investment approach utilised is a fundamental, bottom-up stock picking process which is discipline and benchmark agnostic. We seek to identify superior quality business models with a focus on visibility, sustainable margins, recurring revenues, strong free cash flow and high returns on invested capital. 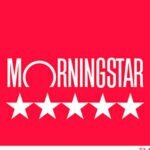 The fund was awarded a four star rating by Morningstar in January 2018, shortly following the third anniversary of its launch.